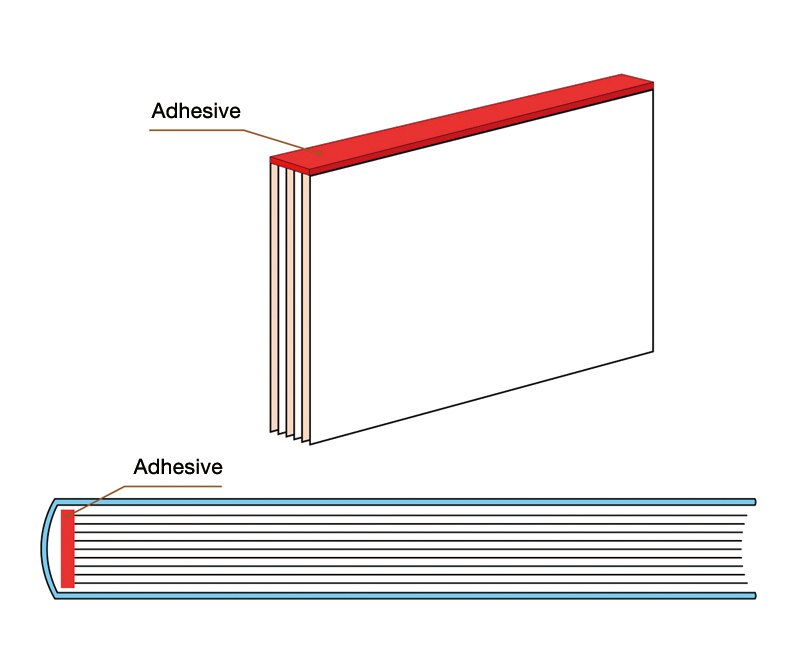 Adhesive binding (case binding) is the binding of all of the signatures (the printed sheets folded to the size of a book) that make up a book or a magazine at the spring using an adhesive. In the past, the tendency of pages to detach used to be a problem with this method, but improvements in adhesives and in the quality of process have addressed this. 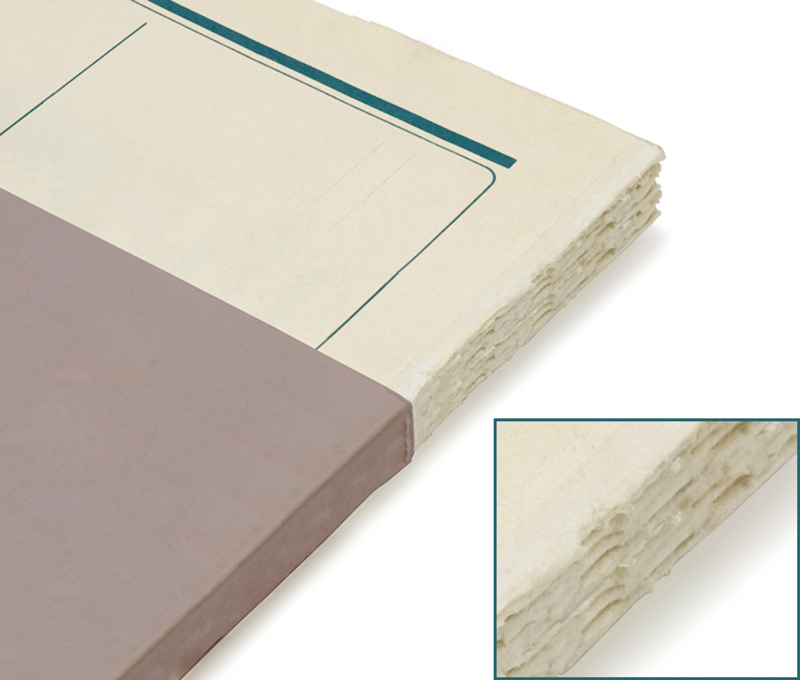 The process of bookbinding is a simple one, with the booklet opening to the gutters. It is appropriate in a variety of uses, including binding together unfolded, postcard-style pages and booklets made up of many pages. When binding signatures, because only the outermost page of the signature is attached, preprocessing is done to make sure that all pages attach. 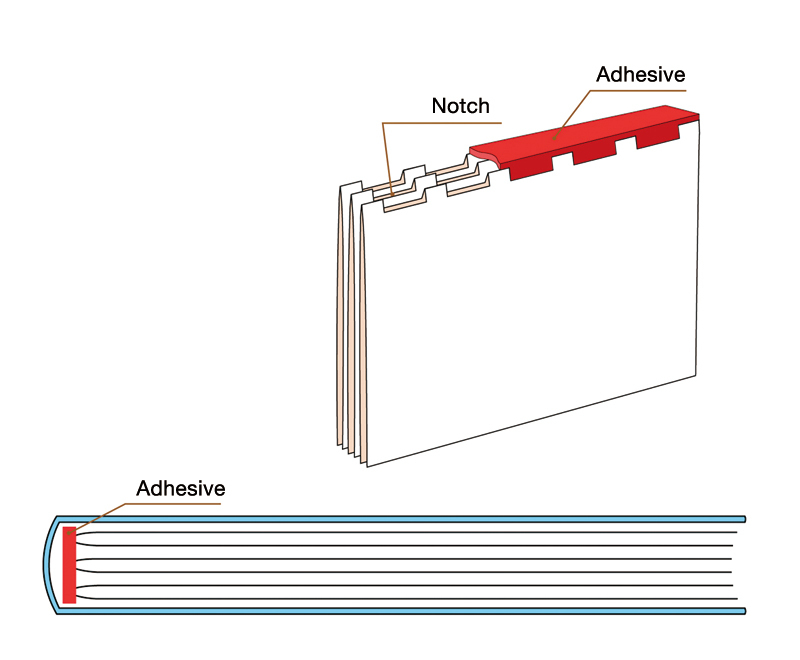 In this process, the spine of the signature is cut; after that, one of two things is done: either adhesive is spread on that edge (perfect binding-style), or a series of notches are made in the spine and adhesive is applied in those notches (notch binding-style). 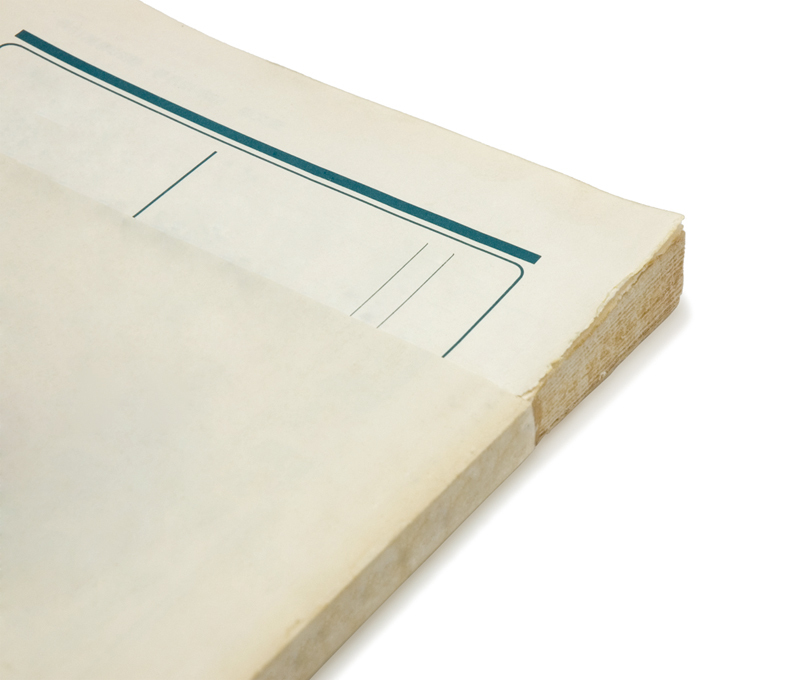 Because adhesive binding involves working with the signatures themselves, in cutting and applying adhesive, it is not appropriate for repairs or rebinding.